The World Junior Olympic Track and Field Championships kick off in Eugene on the 22nd. Teams from around the world are sending contingents. This is a nice article on 14 year-old runner Brain Hastings of Oroville who will be competing in the 1500m and 3000m. His PR’s of 4:25 and 9:50 qualified him. I caught this on the Alice Springs Running & Walking Club Facebook page. Courtney Geraghty will be travelling a heck of long way to compete in the hurdles. If you’re building a club, you need to check out the Alice club. They do a great job of reaching out to their community. Everything they put out is a positive testament to their club and sport. I also like the fact they include walkers. We could learn a few things. OregonLive has an article with a ton of links, well worth perusing. This headline amused me. Kenya is out to conquer the U.S. in Oregon. That’s not news, folks – that’s the status quo. We’ve been getting our butts kicked for a while. Wonder how the English team is getting ready? Like this. . . .
Men’s and Women’s All-USA prep teams have been announced. I know most of the distance folks but it’s nice to see the other events. I’ll have to do some reading up . . .
That’s it for today. If you’re running in my neck of the woods, mind the smoke of the fire. Slow down and make it an easy day. Tomorrow, I plan on heading up to Giant White Pine campground and running the trail to the Bald Mountain Lookout. I’ll take some pics along the way. It’s a pretty trail, a mite challenging. This will be the first time I’ve used my GPS on it so I’ll finally get an idea of the total elevation gain. 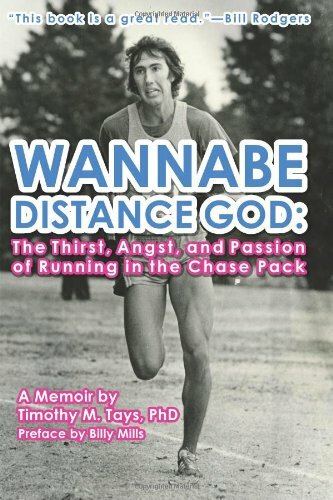 Tuesday will be an interview with former Kansas standout and author of Wannabe Distance God, Tim Tays. Tim was gracious enough to answer questions that I had after reading his book. You can find him on Twitter (@timothytays) if you want to follow him.